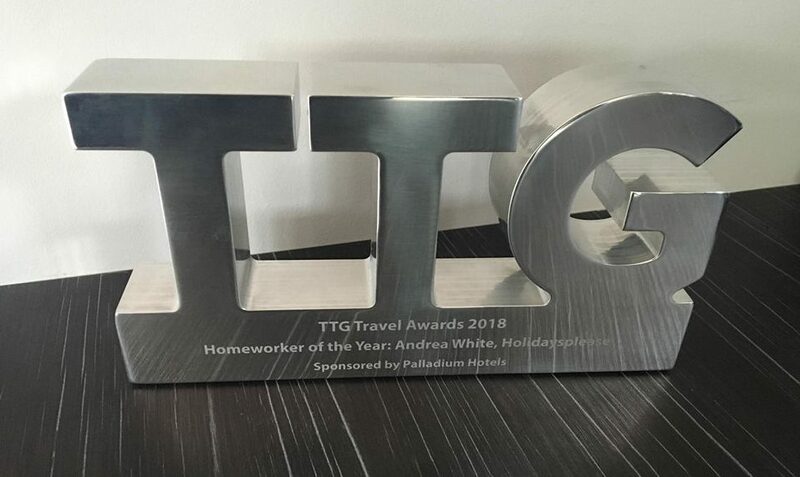 Here at Holidaysplease we are very proud of our fantastic group of travel homeworkers… a hardworking, dedicated team that go above and beyond for every single customer! 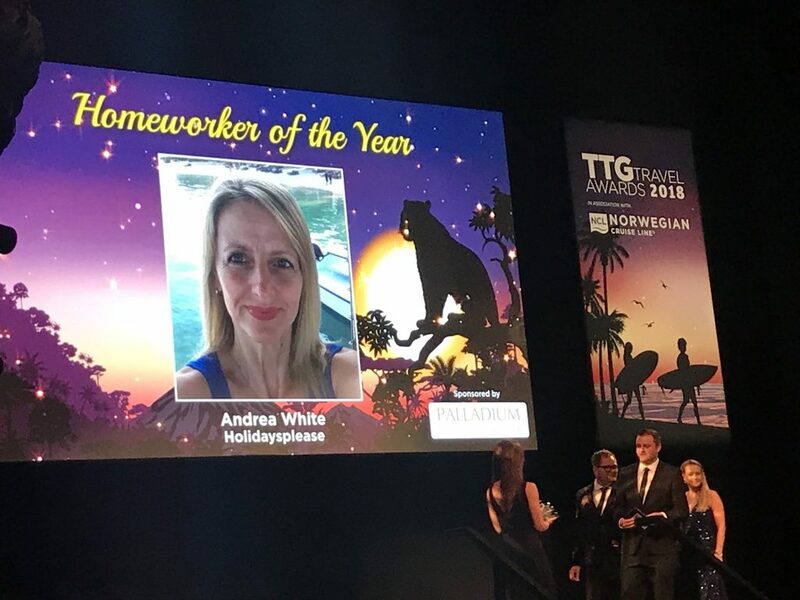 We are extremely happy to announce that Holidaysplease’s Andrea White took home the award for TTG Travel Homeworking Agent of the Year for 2018/19! 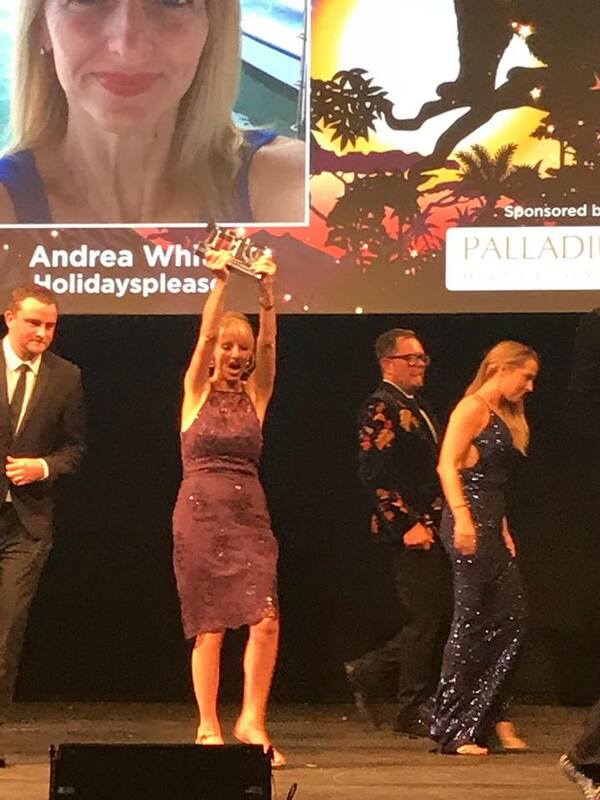 With four kids to look after Andrea has an incredibly busy family life and in recent times has come through some extremely tough personal challenges. 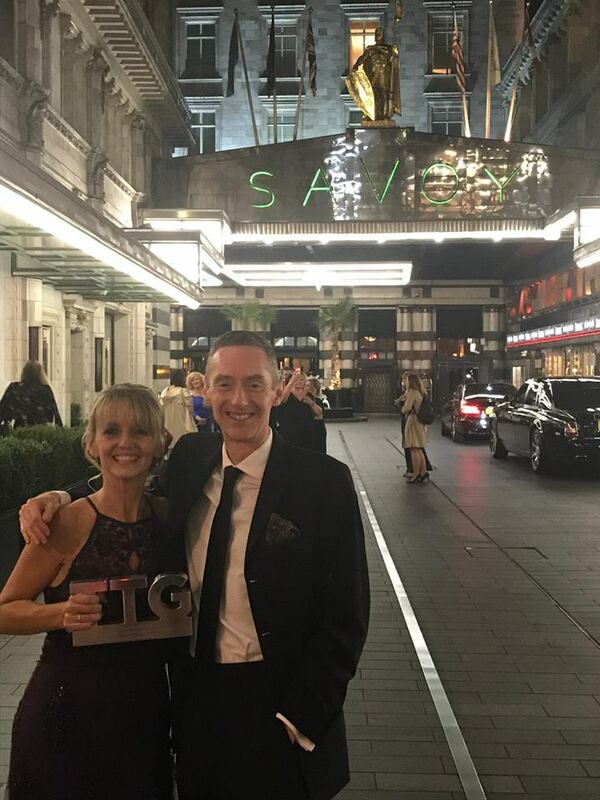 As well as continuing to grow her own business she has also found time to help two new Holidaysplease Homeworkers local to her through their tough first 12-18 months. 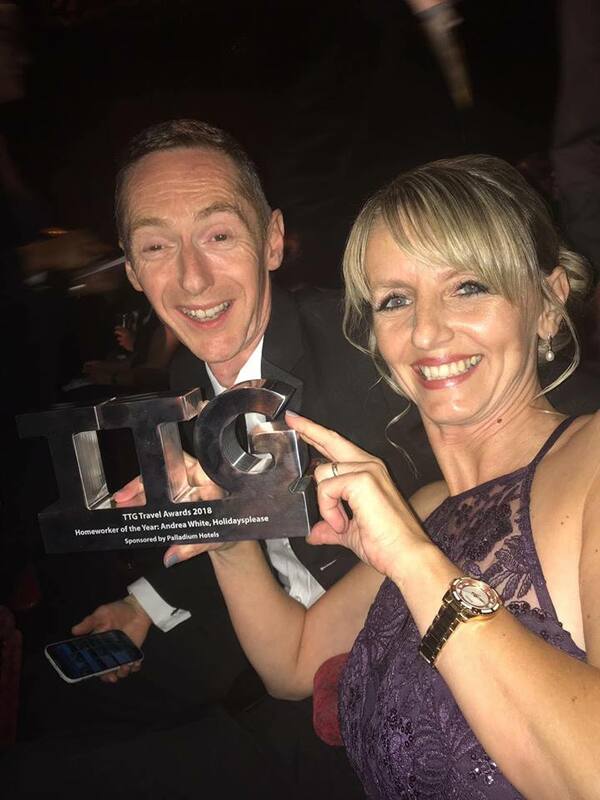 The TTG Travel Awards 2018 were held in a glittering ceremony in London’s Lyceum Theatre on Monday night 17th September after an extensive judging process. 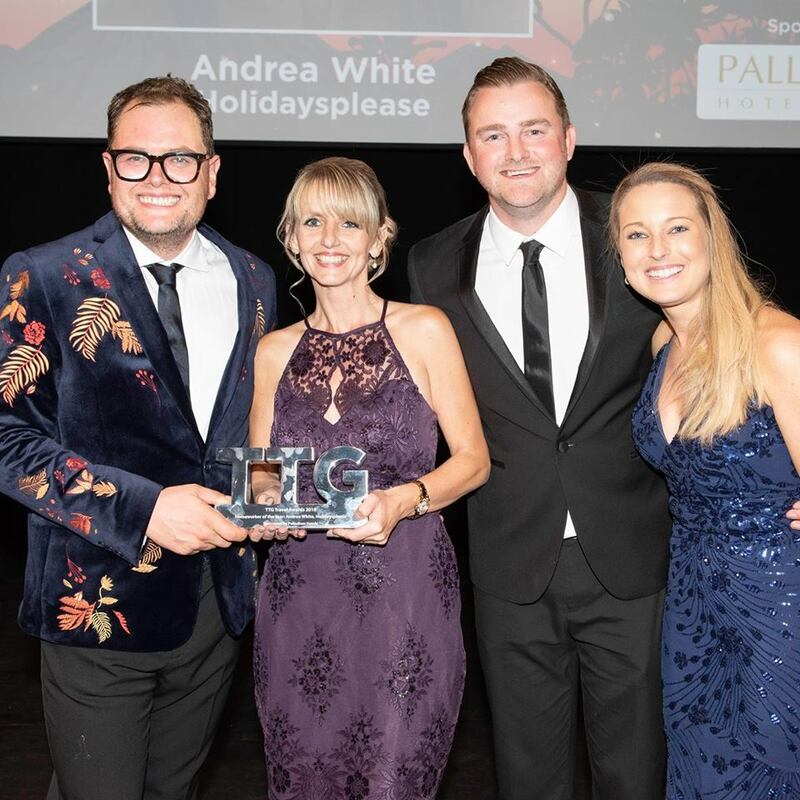 Andrea had the pleasure of collecting her award from the one and only “Chatty Man” Alan Carr! 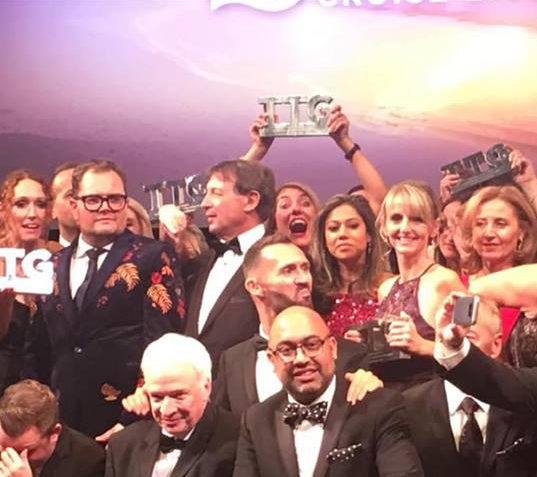 Yet another wonderful night by held by the fantastic Travel Trade Gazette, celebrating amazing achievements throughout the travel industry. 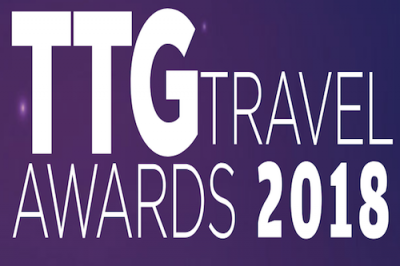 A huge congratulations to all of this year’s TTG Travel Award winners!